I love baking bread. Here’s why. Do you know the Danish concept hygge with which the world has become fascinated recently? Hygge is roughly translated to “coziness,” but it’s a philosophy that embodies anything—activities, objects, decor, food—that promotes a sense of warmth, homeyness, and togetherness. I’m pretty certain that there’s nothing more hygge-ful than the smell of freshly baked bread wafting through your home. My mom and I always baked bread together, and now it’s something I love to do with my kids, too. In this article, I’ll share some of my favorite bread recipes (and some I’d like to try), as well as some cookbooks all about bread. Feel free to skip right ahead to the cookbooks—click the links in the chart below to see the latest price and read reviews on Amazon. Many people shy away from baking bread because it seems complicated. While homemade bread does require attention and time, it’s often not as hard as it looks (some don’t even require kneading!). But even if it’s easy, homemade bread is impressive and tasty! Here are some different bread recipes to warm up your home. I seriously love my Dutch oven and cook everything in it—including bread! For real! This recipe is pretty simple using six basic bread ingredients that you can mix up the night before. After mixing the ingredients, you simply leave the dough to rise for at least 8 hours (overnight is perfect). After you punch it down and shape it, let it have a second quick rise of 30 minutes, transfer it to your pre-heated Dutch oven and pop the whole thing into your oven to bake. The result is a crusty-on-the-outside, soft-on-the-inside, lovely, tasty loaf of white bread. I found this recipe when I was throwing a brunch party and now I make it all the time. It’s got a great density to it, and a slightly tangy flavor. 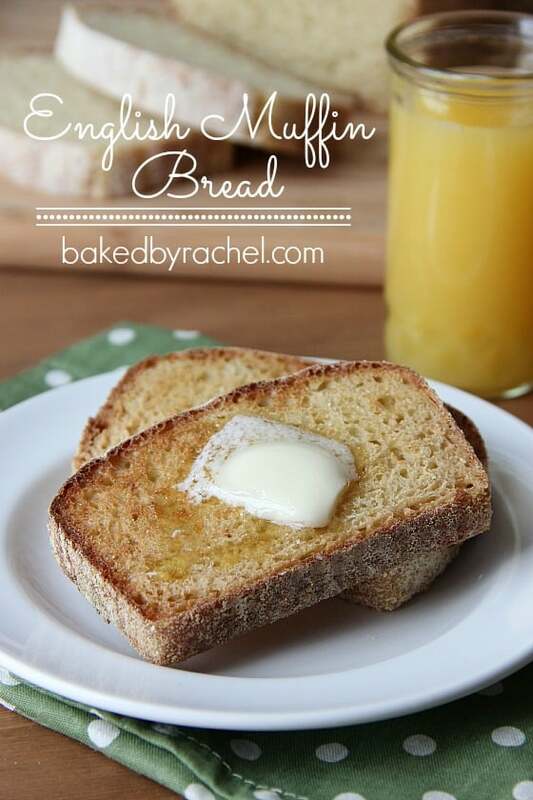 It toasts up perfectly and is amazing with butter and jam. It’s super quick: mix the ingredients, put it in you loaf pan, let it rise in the pan, and then bake for 30 minutes. Quick enough to be ready for brunch! This is a very simple method for creating a seedy whole grain bread. You mix up the dough with a combination of whole wheat and unbleached flour, then fold in seeds and oats. The baking is quick—25-35 minutes—and includes using hot water in the oven along with the cooking bread to help yield a moist but crusty loaf. Oh, focaccia bread! Yes! I seriously love this Italian bread—salty, savoury, yeasty, crisp and chewy. This one will surely impress your wine and cheese night or dinner party crowd! This recipe includes photos for each step. Focaccia bread isn’t hard, but it is a special process if you want to get it right (mostly, don’t skimp on the olive oil!). Because it’s a thin bread, the baking time is quick. My first introduction to epi bread was when I worked at an artisanal cheese farm that also had a brick oven. The rosemary epi was their best selling bread. Essentially, epi bread is a simple loaf, like a baguette, that’s cut specially to resemble a wheat stalk. I like this recipe because it uses a “sponge” or “preferment”—a technique that allows extra fermentation of the yeast. This is a simple bread, so that extra step will add some great flavor. This recipe includes step-by-step instructions for creating your “wheat stalk,” which is actually much simpler than you may think (hint: get our your food scissors!). Challah bread is a sweet, eggy braided loaf that is served at the weekly Shabbat meal and other Jewish holidays. This is a great guide for making your own challah, including step-by-step pictures, a link to tips on braiding your dough, and a nice write up of the cultural significance of this beautiful loaf of bread. She notes that making challah is like an act of meditation, and I completely agree! Cranberry Walnut loaf was another best-seller at the cheese farm where I worked. The tangy-tart cranberries and the yielding crunch of the nuts are a great complement to the moist bread interior. The prep for this one is a bit tedious (carefully slicing fresh cranberries?! ), but there’s no rising time once the ingredients come together. It also freezes very well. This is perfect for holiday time, to serve with a special meal or to wrap up as a sweet, homemade gift (be sure to share the recipe!). 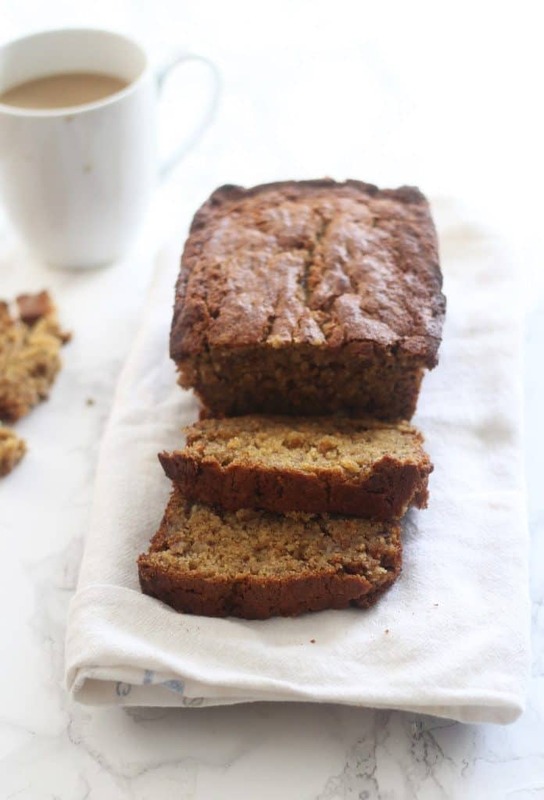 Everyone seems to have a banana bread recipe, but this one really looks amazing. Ample butter, brown sugar, and sour cream for some zip—doesn’t that sound perfect? One thing I love about banana bread is that you mix it up in one bowl, pour it into your loaf pan, and that’s it. It’s fun and easy to bake with your kids (and it’s good in the lunch box or as an after-school snack). I could share bread recipes forever, and yet I’ve only scratched the surface of bread baking. So let’s take a look at some of the best bread cookbooks! Note: for artisanal bread baking, you’ll benefit from some special equipment such as a scale, baking stone, and a pizza peel (this is one thing I need!). I’m normally wary of recipe collections put out by a company like this, but this book gets top marks from bloggers, reviewers, and in forum discussions, with users noting that the recipes all really work. As a bonus, it includes not just recipes for a wide variety of breads, but also for things like pancakes, quiches, cakes and other flour-based baked goods. It also gives instructional information about ingredients and techniques to help you become a better baker. This book offers an inventive method for helping the novice baker quickly graduate to someone who’s baking fresh bread daily (and many enthusiastic reviewers have in fact done this!). From a “master recipe” you can create a number of different variations, with no kneading or lengthy prep. The trick is mixing up a big batch of simple dough that sits in the refrigerator, ready for whenever you want to bake a loaf of your own bread. Reinhart is the author whose name usually comes up first in any discussion of bread baking. This book really gets into the chemistry of bread. Reinhart follows traditional methods that usually require some kind of starter. You’re not going to find a 5-minute loaf in here, but you will get artisan-style, delicious breads and a lot of knowledge. This is a great book for beginners who want to learn more traditional methods of baking bread. Forkish gives some good background knowledge to help the baker understand fundamentals before getting started. As a bonus, there’s also a section on pizza! Take note: most of the bread is baked in a Dutch oven, so that’s one piece of equipment you’ll need! He also recommends measuring out ingredients with a scale. 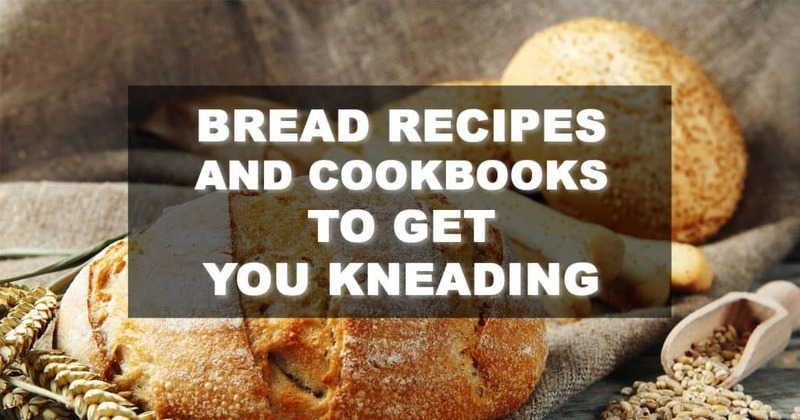 Because the world of baking bread is so huge, it’s hard to choose just one cookbook to get going. If you want to simply be baking your own bread on a regular basis, try The New Artisan Bread in 5 Minutes a Day. If you want more in-depth knowledge of baking bread, go for The Bread Baker's Apprentice or Flour Water Salt Yeast. King Arthur Flour’s Baker’s Companion is great if you really just want a large variety of different baking recipes. Do you bake your own bread at home? Share your favorite recipes in the comments!